The Daisylane Sitting Room set includes a sofa and chair with fabric cushions, a table, a coffee set and all the other furniture pictured. 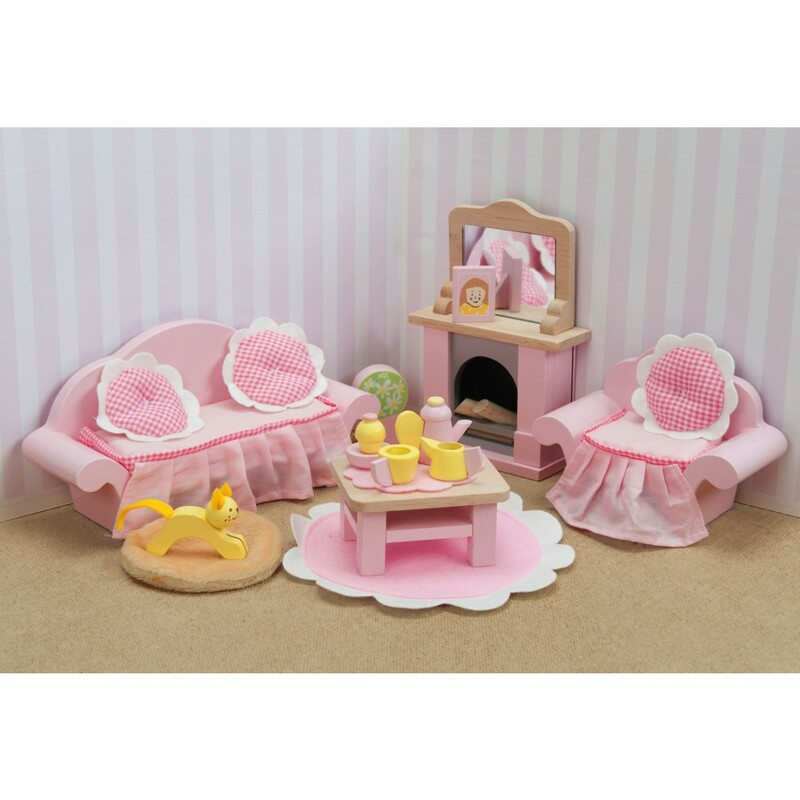 Le Toy Van's furniture sets are full of quality, quirkiness and detail, and make any dolls house feel like a home. We really like the cat on its cushion and the cute photo frame!